The success of this year's "Transformers" movie guaranteed that Transformers would reemerge as one of the hottest action toys. The Transformers Movie Ultimate Bumblebee is half Camaro, half robot. 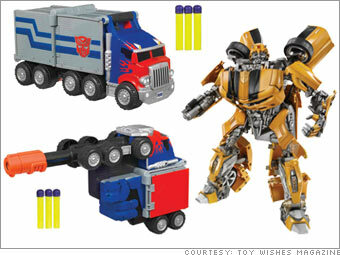 The Transformers Arm Blasters converts right on the arm from Autobot or Decepticon into a full-force, soft-dart blaster.